Reduce the chance of fraudulent activity on your account and enjoy peace of mind with SMS/Email alerts. 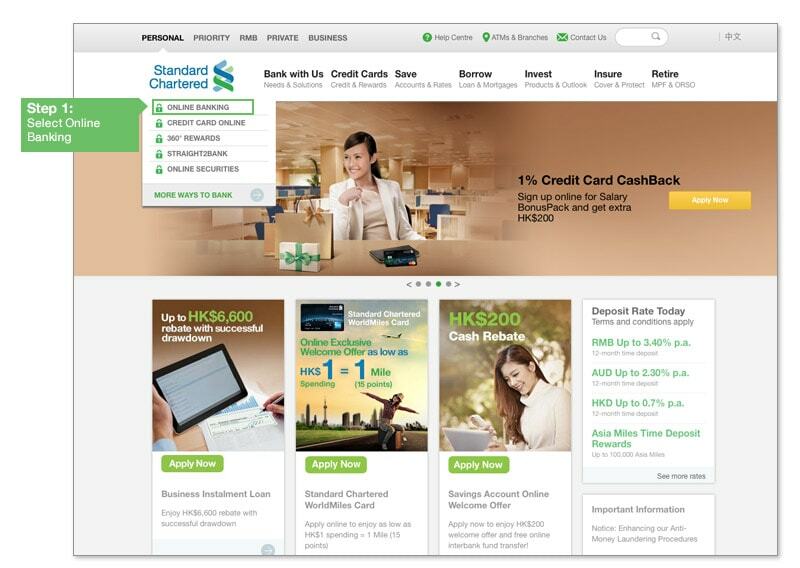 You can subscribe to this service, and start receiving SMS and/or email alerts after you conduct transactions via automated channels (Standard Chartered Online Banking, automated phone banking, ATM, electronic transactions) on your deposit accounts with us, after you make purchases with your ATM cards, as well as reminding you on important matters that happen to your accounts. Banking alerts that you subscribed here will send to you via Notification Hub once you have enabled Push Notification. Notifies you after a bill payment is made with your designated bank account via online banking, automated phone banking or ATM. 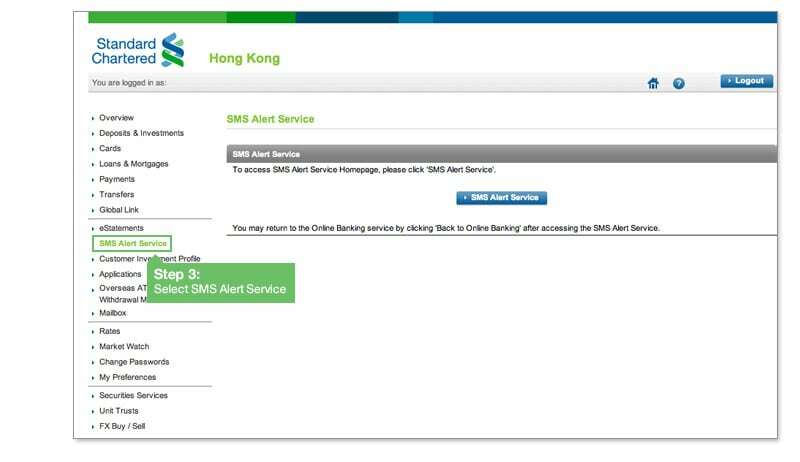 Notifies you after a cash withdrawal is made with your designated bank account via ATM. Notifies you after a fund transfer is made with your designated bank account via online banking, automated phone banking or ATM. 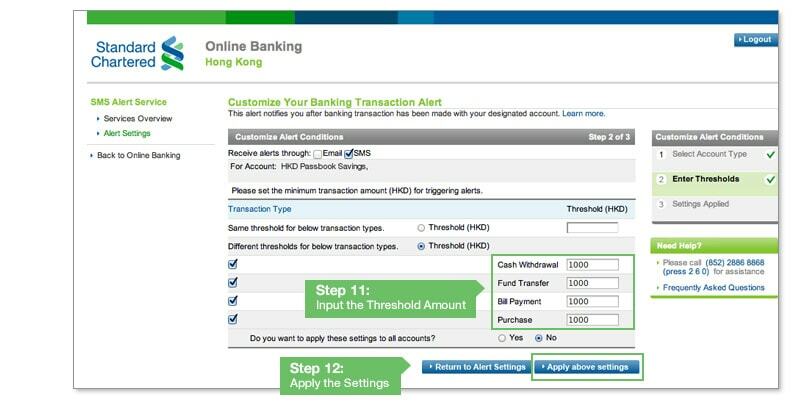 Notifies you the purchase is made with your designated bank account via EPS, UnionPay or Maestro networks. Notifies you after a cheque issued from/deposited to your designated bank account is returned. Reminds you of the payment due date of your designated credit cards. You can set when you want to receive the alert by number of days before due date. 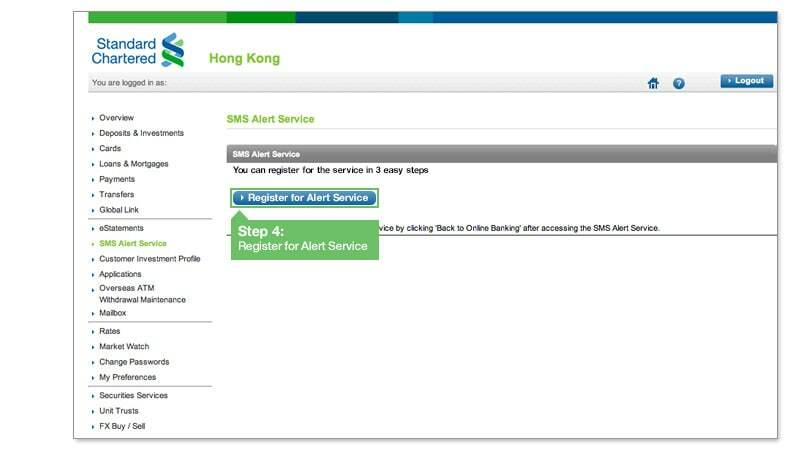 Set up the SMS/Email alerts at ease.